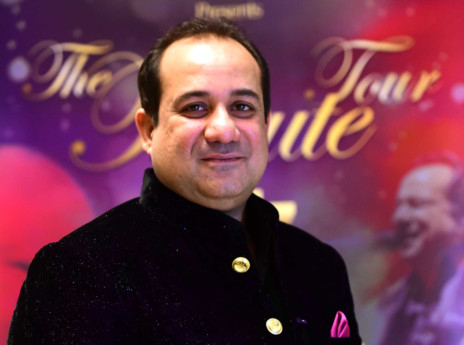 The Enforcement Directorate has issued a show-cause notice to Pakistani singer Rahat Fateh Ali Khan for allegedly violating foreign exchange rules involving Rs20 million (Dh1.03 million), officials said on Wednesday. The notice, issued on Monday, has been served in a case that pertains to the seizure of undeclared US dollars from him at the Delhi airport in 2011. Khan lives in Pakistan. “The show-cause notice has been served to Khan for the violation of foreign exchange rules,” an ED official said. The ED has registered a case under the Foreign Exchange Management Act (FEMA) on the basis of a case filed by the Directorate of Revenue Intelligence (DRI). Khan, a popular Bollywood playback singer, who was in Delhi to perform at an Indo-Pakistan peace initiative, was to board a flight to Karachi via Dubai with his entourage of 14 persons. He was detained at the Indira Gandhi International Airport for travelling with undeclared currency to the tune of $300,000 (Dh1.1 million) along with Pakistani and Indian currency, the ED official said. The DRI then said that Khan had not declared the amount to the immigration authorities. As per rules, a foreign national cannot carry more than $5,000 in cash and $5,000 in other instruments. In the event he has more cash, he has to declare it to the Customs Department. Khan was unable to give a proper response regarding the source of the money and he also did not show any relevant documents for the same. According to the DRI sources, Khan was paid in Indian rupees and dollars for his shows in India. The ED had earlier questioned Khan a number of times. A case under FEMA is not considered a criminal case. Even the accused is not arrested but if the charges are proven, then the agency can impose heavy fines of up to 300 times of the said amount.